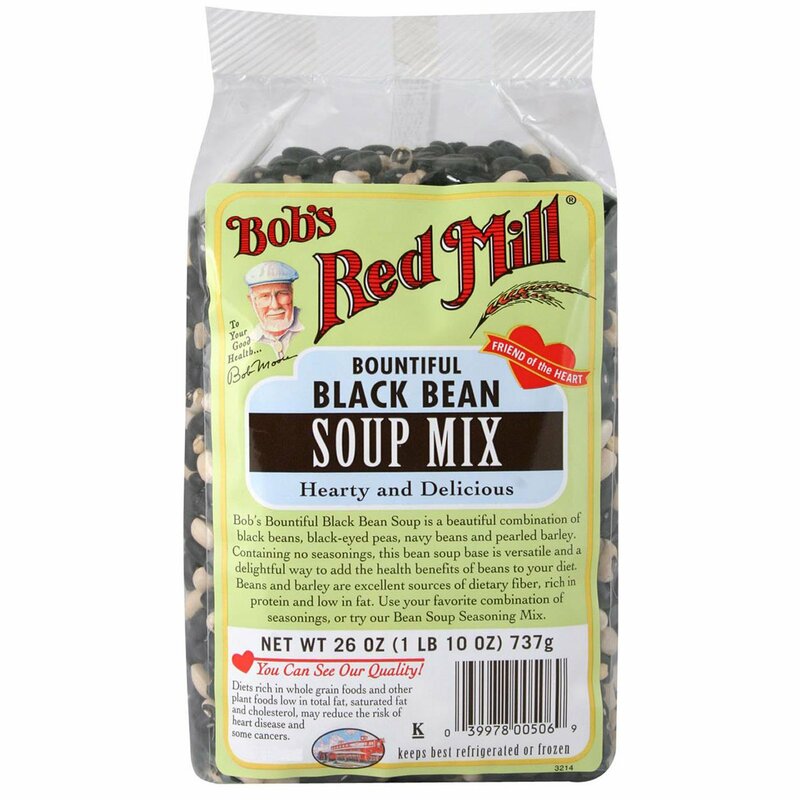 Bob's Bountiful Black Bean Soup is a beautiful combination of black beans, black-eyed peas, navy beans and pearled barley. 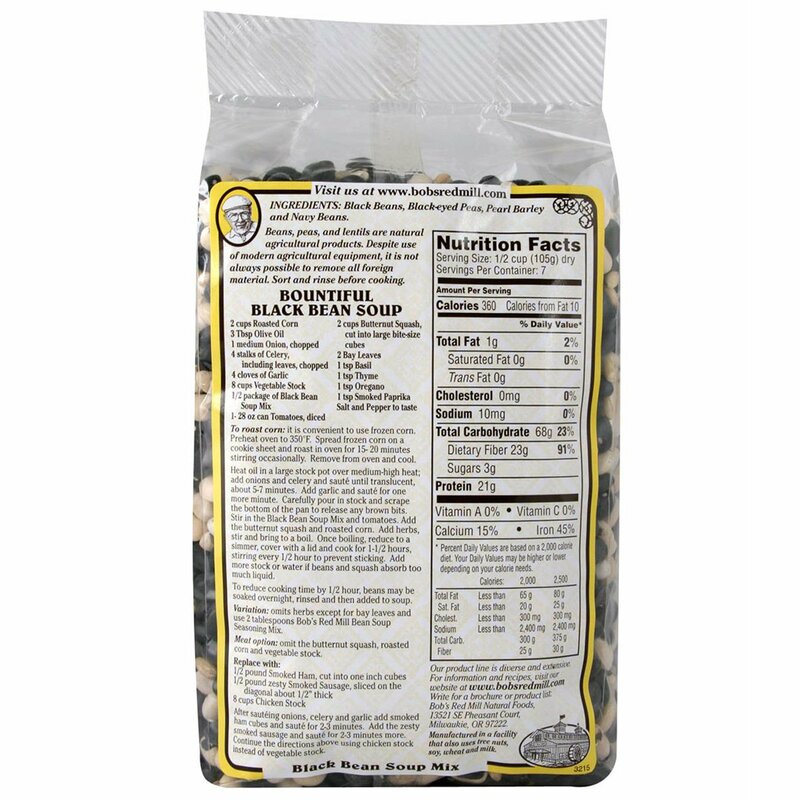 Containing no seasonings, this bean soup base is versatile and a delightful way to add the health benefits of beans to your diet. Beans and barley are excellent sources of dietary fiber, rich in protein and low in fat. 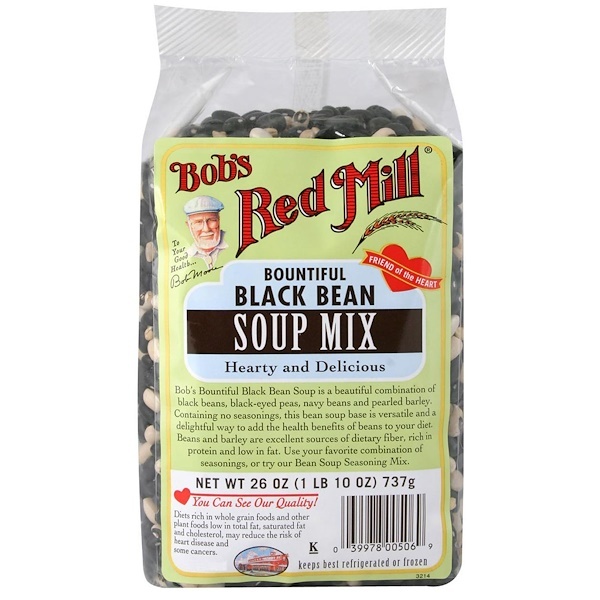 Use your favorite combination of seasonings, or try our Bean Soup Seasoning Mix. Place 4 cups of broth and 1 cup Bountiful Black Bean Soup Mix in a medium stock pan and bring to a boil. Reduce heat to a low simmer and cook for 1-1/2 hours. Add any spices, vegetables, meats and salt as desired. Black beans, black-eyed peas, pearl barley and navy beans.